1.What is WP Travel Downloads? Unzip the folder and Upload `WP Travel Downloads` folder to the `/wp- content/plugins/` directory. After purchasing the WP Travel Downloads from the Theme palace, you will get the license key. You need to add this license key by going to Admin Panel > WP Travel > Settings > License. After the activation of the plugin a “Downloads” tab will be seen under WP Travel. You will be able to add multiple downloads adding different file type from here. How to create the downloads? 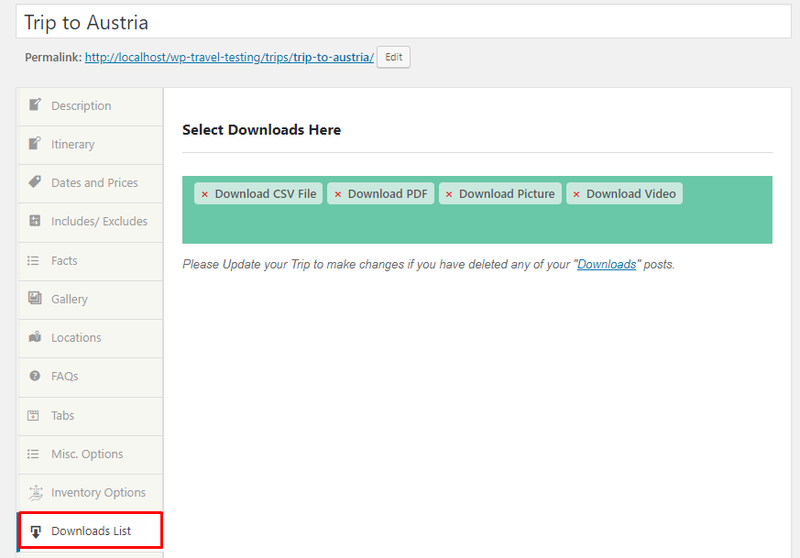 To create the downloads go to “Downloads” under “WP Travel” in Admin Panel. Click on “Add New Download“. You will get to add the different file type from the box at the right and add the caption from the left box. 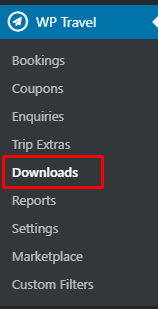 The added downloads will be listed under WP Travel > Downloads. How to add the downloads in a trip? Adding the downloads in a single trip is easy. For this go to Downloads list tab and add the downloads that is added from WP Travel > Downloads. 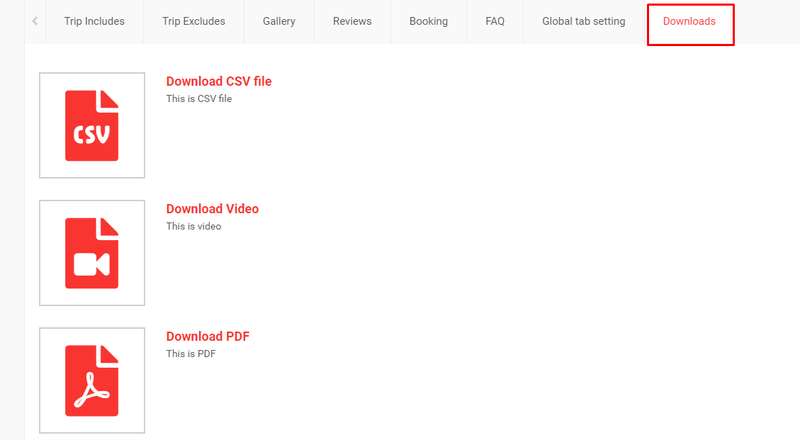 A users will be able to download different file type available in the “Downloads” tab. To update the WP Travel Downloads is an easy process. Please follow below-given steps. If you already have WP Travel Downloads plugin then delete or replace it with the new zip file.